The fashion industry has a disastrous impact on the environment. In fact, it is the second largest polluter in the world, just after the oil industry. And the environmental damage is increasing as the industry grows. However, there are solutions and alternatives to mitigate these problems. The first step lies in building awareness and willingness to change. In most of the countries in which garments are produced, untreated toxic wastewaters from textiles factories are dumped directly into the rivers. Wastewater contains toxic substances such as lead, mercury, and arsenic, among others. These are extremely harmful for the aquatic life and the health of the millions people living by those rivers banks. The contamination also reaches the sea and eventually spreads around the globe. Another major source of water contamination is the use of fertilizers for cotton production, which heavily pollutes runoff waters and evaporation waters. Choose organic fibers and natural fibers that do not require chemicals to be produced. The fashion industry is a major water consumer. Huge quantity of fresh water are used for the dyeing and finishing process for all of our clothes. As reference, it can take up to 200 tons of fresh water per ton of dyed fabric. Also, cotton needs A LOT of water to grow (and heat), but is usually cultivated in warm and dry areas. Up to 20,000 liters of water are needed to produce just 1kg of cotton. This generates tremendous pressure on this precious resource, already scarce, and has dramatic ecological consequences such as the desertification of the Aral Sea, where cotton production has entirely drained the water (see pictures above). “85 % of the daily needs in water of the entire population of India would be covered by the water used to grow cotton in the country. 100 million people in India do not have access to drinking water." Every time we wash a synthetic garment (polyester,nylon, etc), about 1,900 individual microfibers are released into the water, making their way into our oceans. Scientists have discovered that small aquatic organisms ingest those microfibers. These are then eaten by small fish which are later eaten by bigger fish, introducing plastic in our food chain. Choose natural or semi-synthetic fibers. Clothing has clearly become disposable. As a result, we generate more and more textile waste. A family in the western world throws away an average of 30 kg of clothing each year. Only 15% is recycled or donated, and the rest goes directly to the landfill or is incinerated. Synthetic fibers, such as polyester, are plastic fibers, therefore non-biodegradable and can take up to 200 years to decompose. Synthetic fibers are used in 72% of our clothing. Chemicals are one of the main components in our clothes. They are used during fiber production, dyeing, bleaching, and wet processing of each of our garments. The heavy use of chemicals in cotton farming is causing diseases and premature death among cotton farmers, along with massive freshwater and ocean water pollution and soil degradation. Always wash new clothes before using them for the first time. Look for garments with certification label controlling chemical content such as OEKO-TEX®, GOTS, or BLUESIGN®. The global fashion industry is generating a lot of greenhouse gases due to the energy used during its production, manufacturing, and transportation of the millions garments purchased each year. Synthetic fibers (polyester, acrylic, nylon, etc. ), used in the majority of our clothes, are made from fossil fuel, making production much more energy-intensive than with natural fibers. Most of our clothes are produced in China, Bangladesh, or India, countries essentially powered by coal. This is the dirtiest type of energy in terms of carbon emissions. “ Cheap synthetic fibers also emit gases like N2O, which is 300 times more damaging than CO2." Buy less, buy better quality, mend clothes. The soil is a fundamental element of our ecosystem. We need healthy soil for food production but also to absorb CO2. The massive, global degradation of soil is one of the main environmental issues our planet is currently facing. It presents a major threat to global food security and also contributes to global warming. 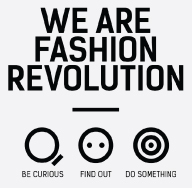 The fashion industry plays a major part in degrading soil in different ways: overgrazing of pastures through cashmere goats and sheep raised for their wool; degradation of the soil due to massive use of chemicals to grow cotton; deforestation caused by wood-based fibers like rayon. Choose fibers friendly to the soil. Every year, thousands of hectares of endangered and ancient forests are cut down and replaced by plantations of trees used to make wood-based fabrics such as rayon, viscose, and modal. This loss of forests is threatening the ecosystem and indigenous communities, as in Indonesia where large-scale deforestation of the rainforests has taken place over the past decade. Choose Lyocell/Tencel® instead of rayon, modal or viscose.